The Project consists of the design and construction of a new 88,970 square foot stand-alone judicial facility to meet the current and future program needs of the court system. 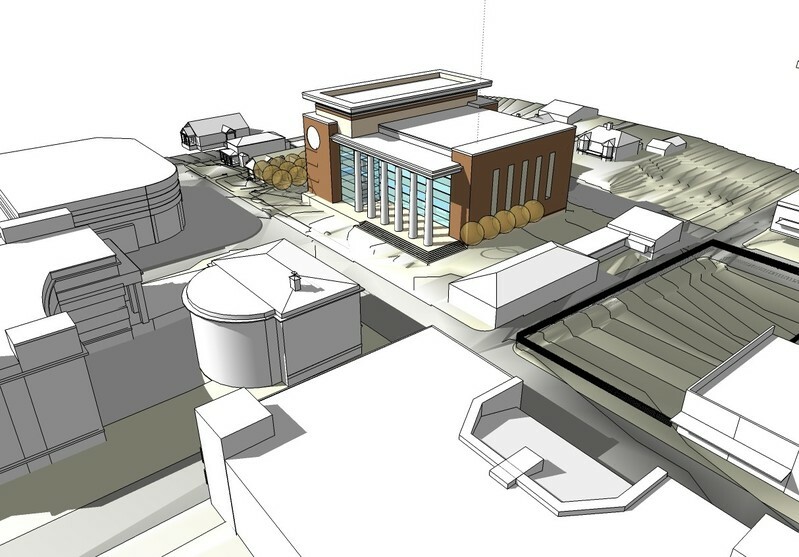 The proposed site is in downtown London, two blocks south of the existing Courthouse and directly across from the London Federal Courthouse. Due to the size of the site, site development will include limited amount of on-site parking for court staff and the public. A vehicle drop-off area at Main Street will be provided to allow public transportation and private vehicles to unload passengers before moving on to park. Additional parking will be available to court staff and the public off-site adjacent to and near the new facility in the downtown area. 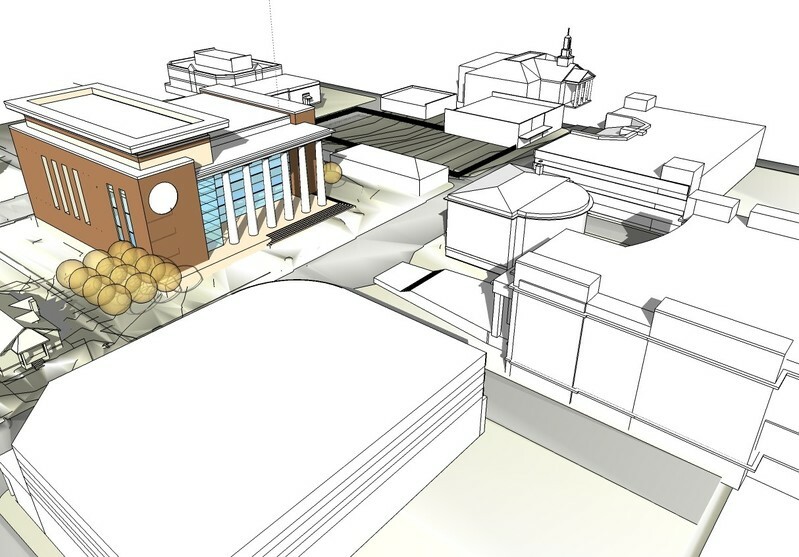 The building will be set back and raised slightly above the public street to provide a public plaza fore-court to the building which will be paved and landscaped. This will provide the court with a symbolic approach and furnish protection from vehicle intrusion. The basic court floor and the organization of the court sets (paired courtrooms supported by detainee transport, court floor holding cells and attorney conference rooms) generate the basic structure for the building. A two court per floor configuration provides the best balance of circulation and floor plate size to fit the site. The building is organized using the basic tenet of modern justice facilities: complete separation of judges, detainees and the public until their circulation paths come together in the courtrooms. When complete, this building will carefully balance the necessary richness and traditional values of the courts with the emerging societal demands for a more transparent, understandable and friendly civic institution.